OK, so it’s time to make that big purchase! Your first acoustic drum kit. This is a BIG decision and BIG purchase so please take the time to read some of the supporting information on this web site. At the very least have a look at this article discussing acoustic vs electronic drums. Also have a look at this article discussing acoustic drums in a bit more detail. This is a stunning kit for only around £300. This is about as cheap as drum kits get so don’t expect the world but a great starter set and you can always upgrade components as you go! This kit only comes with one cymbal so bear that in mind. Another stunning entry-level drum kit around £430 for the complete package. Again, only one cymbal but you can always add more later down the line. Lovely kit for the money. This is a beautiful 5 piece kit with Paiste cymbals. Everything seems to be included apart from a stool so you’ll need to buy that separately. Also not entirely clear whether it comes with a bass drum pedal so check with the seller. At around £530 this is a really lovely kit at a very reasonable price. Pearl Export is one of the most famous and popular mid-range drum brands on the planet. Great drums, complete with cymbals and pretty much everything you need to get started. This kit comes in around the £700 mark. Been working hard? Got deep pockets? Now you’re getting in to serious professional-level drum kits. At this level you normally need to buy everything separately (check with the seller). So around £1,200 is only for the bass drum and 3 toms. Your full shopping list for a pro-level kit will set you back around £2,715… but you will have a truly stunning drum kit! If you’re going to have high-end drums then you’ll also want high-end cymbals. 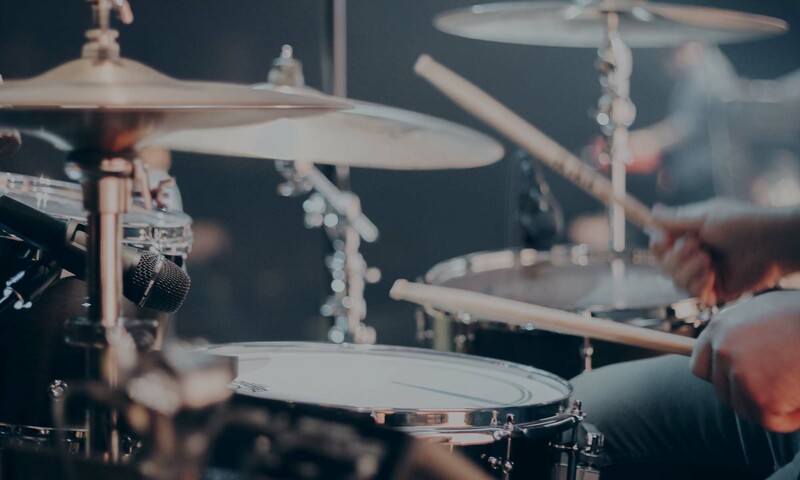 Decent cymbals can make a huge difference to the overall sound of a drum kit and these Zildjians are probably some of the most popular pro-level cymbals on the planet. If you want cymbals that sound amazing this is a good starting point around £600 for a complete set. You can spend a LOT of money on snare drums so we’ll keep it real. At around £370 this is a decent pro-level snare drum. You’ll need some hardware to hang your drums off! Pearl hardware is great (I’m also a fan of Yamaha hardware). This hardware pack includes 2 cymbal stands, a hi-hat stand (with clutch), snare drum stand and bass drum pedal. All high quality double-braced stands around the £280 mark. If you want the kit configuration shown in the picture above you’ll need an extra boom cymbal stand… so here you go. Around £50 is a fairly typical price for a decent cymbal stand. Tom holders or ‘tom arms’ are for attaching your mounted toms on to stands or a bass drum. You’ll need 2 of these for the above configuration and they come in around £35 each. You also need a way of attaching the tom arms on to cymbal stands. This adapter is what you would generally use. Around £25 each and you’ll need 2 of them. You need to sit on something and this lovely double-braced stool should do the job perfectly. At around £75 this is a fairly typical price for a pro-level throne. Well you need some drum sticks and these Vic Firth’s are the industry standard. 5A are a comfortable starter-size for most people. Decent drum sticks are normally around £10 a pair. So there you go! This information is only intended as a guide so please double check with sellers that everything is as expected. You’ve got a range of options from £300 to nearly £3,000 for an acoustic drum kit. Of course perhaps an electronic kit would be more to your liking?